Once King, dying a slow death? Classical Music is not easy even to listen to, let alone composing or performing. It requires a lot of time and patience to get to even mediocre level. Its 2014, Ain’t nobody got time for that. Rarely a singer is ready to practice for months. So the genres that require less vocal complexity are becoming more and more popular. Heavy Classical to Light Classical to Pop to Western Arrangements to pure Western Genres to purely Autotune. Whatever will be created by mass artists, will become the taste of the mass public. Moreover youth is looking for music that makes them feel something without much effort on their brains. It could be joy, aggresion, peace, sadness, motivation or just something that makes them dance. Classical music is failing to provide anything close unless its fused. Whats not on internet, doesn’t exist. As internet came to our houses and gradually into our pockets, people all around the world were exposed to all kinds of music around the world. Everybody had open choice to choose the music that appeals the most to them. As it turned out western music genres were going to be supported and adopted a lot in India. Indians loved and adopted Western Classical, Pop, Hip Hop, Rock, etc, and since last few decades, use of these genres in our mainstream media has been increasing even to this date. Fan following of Indian Classical was heavily decreased as people found their new musical tastes. Youth wants to associate with brands, products, artists and genres that make them feel cool. Music that they can play in public. A playlist that they could play on a road-trip and brag about. 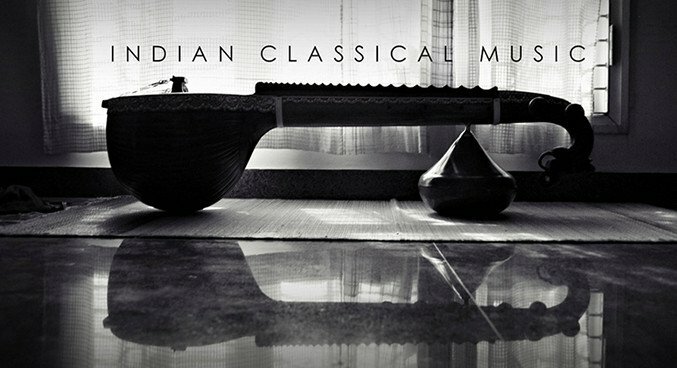 Indian classical music is being considered embarrassing due to its ‘old’ image. Even the artists want to choose the genres that have glamour. We spend hundreds of dollars on Hi-fi systems & expensive headphones, we want music that blows our brain with bass and unbelievable sonic quality. Thats why we bought them in the first place. Most of Classical music isn’t made to utilise the amazing sonic technology to much extent. We could argue that it serves a different group of listeners who couldn’t care less about the sonic quality. The size of this group answers the question in the heading. To be frank a regular music lover of today is ignorant about how much treasure is hidden in Indian classical Music. Most of us don’t realise that all styles of singing and monophonic music have their roots in Indian Classical Music. Lots of non-Indians are learning and exploring this style of music, and they’re doing better job than us. Institutes, individuals & artists who are working to preserve and promote this heritage are blessed souls, shout-out to you guys. Lets all spend at least sometime to get introduced to this amazing noble art form, I’m sure there is something in it for all of us. Drop your thoughts in the comments and if you liked the article, do share it. It was worth reading this article but i partially agree that youth wants something that blows their minds! I mean still you can find people (including me) who listens to Dub, HipHop, Pop and other western genre but loves Indian Classical as well. No doubt bro, I’m also one of them. Still we’re not close to majority. 1. Art is mirror of society. If the society is changing and doesn’t have patience that takes years to hone skills… so is music. Bollywood numbers from the Golden era are timeless. What is life of today’s songs? The fade like fog on a glass pane. 2. The world is one big family , if classical lives in forms of fusion..thats beautiful. And fusion is everywhere, most songs are fusions these days. Even the very new Hip-Hop is clubbed with this and that very often. 1. True, I wish everybody could see the big picture like you do bro. 2. Fusion is beautiful, exactly. Reminds me of a cool record label whose name was something like fusion and art, its founder has the same feelings. 3. This actually sums up the entire discussion. Root cause as well as solution lies in the roots and how strong they’re connected. This website bro. A small warm place on web where I live safe and happy, doing my own little things. People often visit, feels good. I think music is something godsend, our taste should not be judged. A time comes when a style turns into just ancient preserve. It better to accept the change, and move on with time. Well said Risha, thats the right way. That is exactly true bro, people are getting more aware to the vibrations of the music they listen to and its effects on us. So sooner or later they’re gonna reach to Indian classical music, which actually has the most powerful and spiritual vibrations. Indian classical is a great style i love it and i don’t like those hip hop or rock …. But people hear classical music if it’s a fast one in my opinion ….. But classical music shouldn’t die …. It reflects our rich culture .